A good criminal defense attorney will have a lot of trial experience. You do not want someone representing you who does not make it to the court stages of a case too often. This means that they like to settle outside of court, which likely means their clients are serving time in jail, are on lengthy probation, or paid hefty fines for the crimes they were accused of committing. An attorney with extensive trial experience will know what the local judges and prosecutors expect in court and know what it takes to negotiate with them. The best criminal defense attorneys out there know that they can not do it all one their own. They can not represent multiple clients without help from a solid team. When you are looking for a criminal defense attorney to handle your case, you need to find one who has a strong team of paralegals and other staffers who help with evidence collection, witness statements, testimony, and other areas of the case. It is important that you work with an attorney who will be honest in the evaluation of your case. Simply having an attorney tell you what you want to hear will not benefit you at all. You need a lawyer who will look at all the evidence, read the witness testimonies, speak with the police and then provide you with an honest evaluation of your case. A lawyer who can paint a clear picture of what you can expect if convicted and sentenced is someone you should have in your corner. This is not the time to sugarcoat things, especially not when your freedom is at stake. An experienced criminal defense attorney will also be able to seamlessly navigate the legal system from start to finish for your case. He or she will not let any obstacles derail progress and will know all of the required filing and appeal dates so that no deadlines are missed. A good lawyer will also know which prosecutors are allowed to make deals, which could save you a lot of time with your case and even help keep you out of jail. 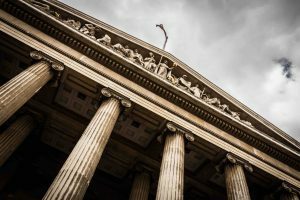 The minute you are arrested and charged with a crime in Chicago, you need to contact a criminal defense attorney who has all of the traits outlined in this post and more. Call the office of David Freidberg today at 312-560-7100 to schedule an appointment to discuss the charges filed against you.